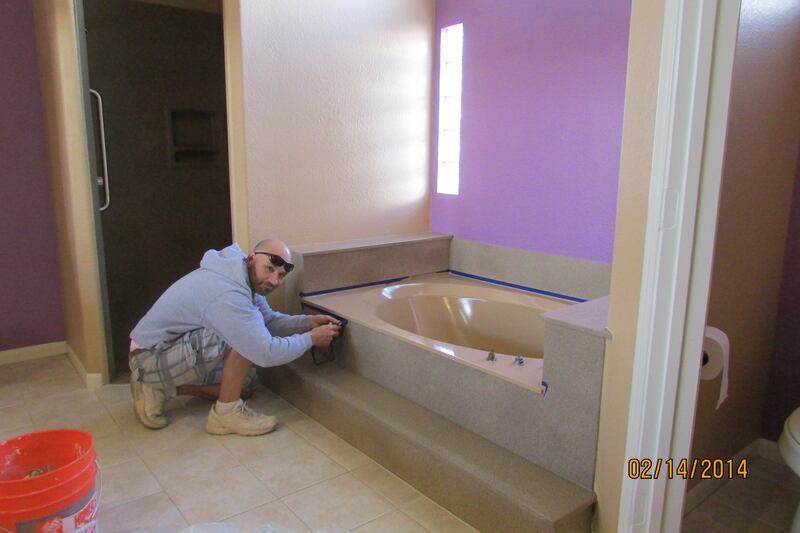 Home » Blog » Change the Color of Your Tub, Shower or Sink in 3 Days! 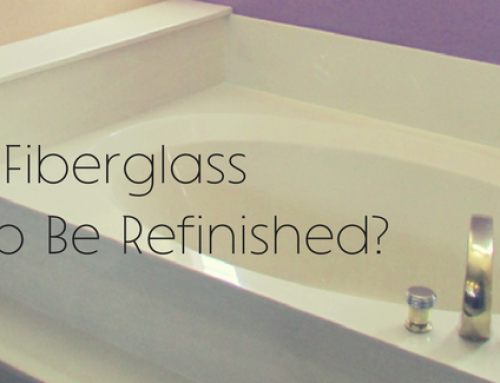 Is your bathroom decor outdated or looking dull? 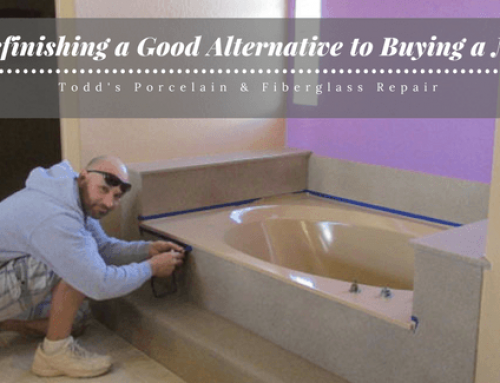 Call Todd’s to share a variety of options to change the color of your Tub, Shower or Bathroom Sink! 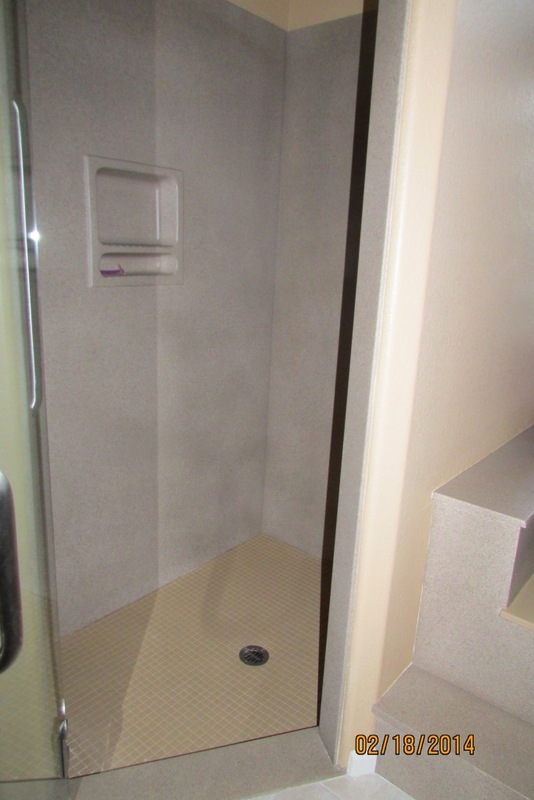 As shown in photos below, the two-tone color combination is fashionable and an updated look. Call us at 480 835 7070 to schedule a visit to your home to share the wide variety of colors and textures to choose from. 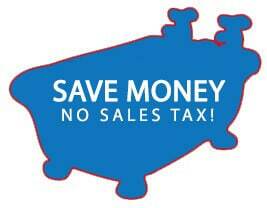 To order this special color paint, we need ten days to receive the paint. The cultured marble tub and shower pan floor below is Mexican Sand Color and the tub surround and shower walls is a Latte color texture. 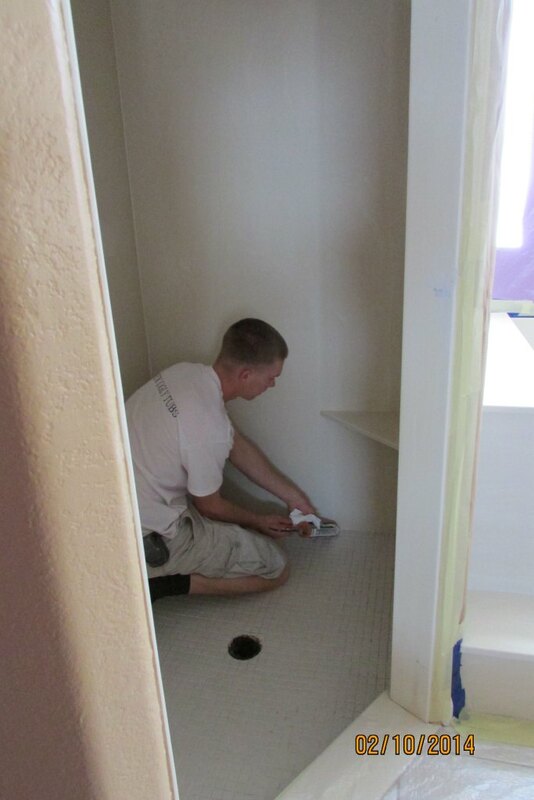 This technicians completed this job in three working days. 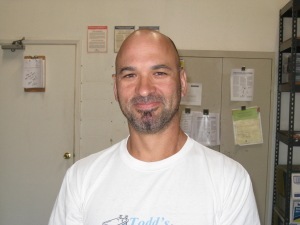 Our standard colors which Todd’s has been offering for almost 38 years include standard white, pure white, 1/2 & 1/2 white, almond, 1/2 pure white & 1/2 biscuit and biscuit. 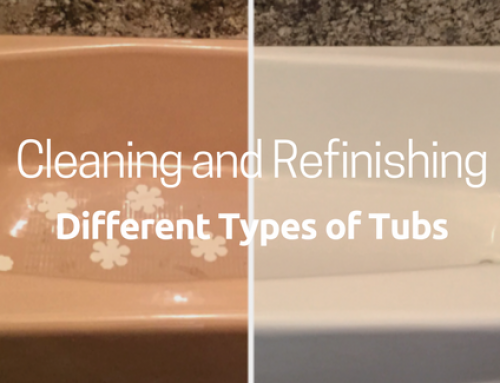 If you are trying to match Kohler toilets or sinks, the Todd’s colors will match theirs. Our Service Staff have combined experience of 87+ years working at Todd’s and are excellent craftsmen and excel in color matching. 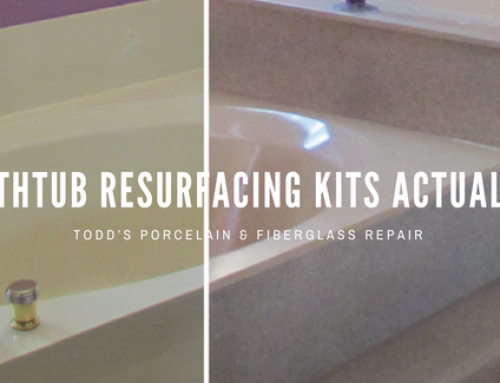 Todd’s Porcelain & Fiberglass Repair has been in business since 1978, licensed, bonded, insured, providing excellent service. 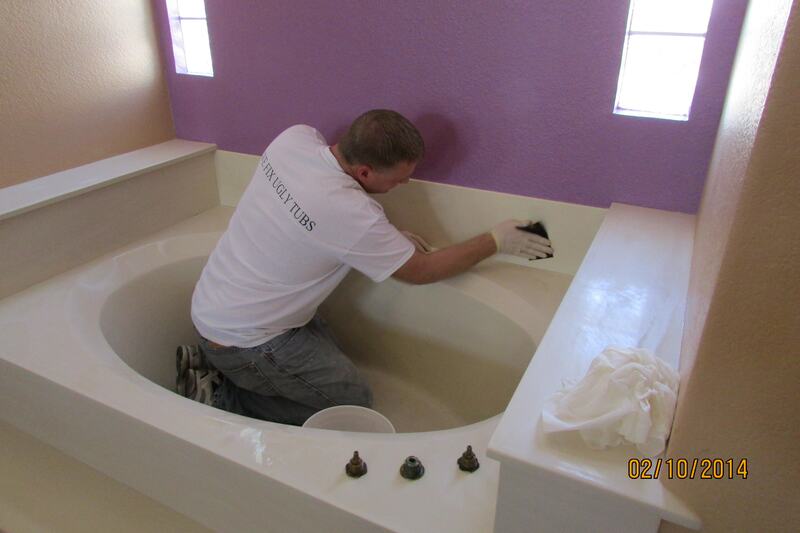 We have refinished and repaired over 150,000 bathtubs, showers and sinks, more than all our competitors combined. We service homeowners, residential builders, plumbers, hotels, senior venues, hospitals and restaurants throughout Maricopa County and beyond.